When it comes to operating an online business, creating invoice often creates a lot of trouble for businesses. It may appear like a trifle task but generating effective invoices is a must for an online business and it can be really troublesome. However, if you have a flexible, robust and user friendly invoicing application at your disposal, you certainly need not worry. For an online business, it is imperative to keep all the financial records in a well organized manner. This is precisely what Invoicera is good at. Invoicera is a perfect online invoicing tool that can help your business run in a smooth and organized manner. How Invoicera Can be an Asset To Your Company? The very approach of Invoicera is quite professional and focused. It has a simple, user friendly and visually appealing interface that helps you generate thoroughly professional invoices. It is not overloaded with too many features and hence there is no cluttered look. Whatever needs to be done can be done easily using the features incorporated in a layout with minimal stuff in it. This makes it very easy to use and hence people with limited technical prowess can also use it effectively. You need not be a tech savvy person to work with Invoicera. That is the best thing about Invoicera. It is flexible enough to meet the requirements and capabilities of users. In order to keep a track of the payments due, it is imperative to possess a tool that sends a reminder automatically to your customers and clients. And this is done with perfect precision with Invoicera tool. By keeping sending reminders on time, it also helps you to check out any customer who has not made payments for long and has gone into defaulters list. Through the Invoicera tool, you can check when your customers are logging in so that they cannot claim later of not being able to see the bills on time and thus delaying payments. You surely would like your clients to get a peek into what your company is like, even though they might be sitting at the farthest corners of the globe. For this, Invoicera endows you the opportunity to equip your Invoice with templates that can be customized and tweaked in accordance with your company’s profile and logo as well as your needs. Multiple Languages and Currency Support: It helps in creating and sending invoices to your clients in their respective currency and language. Invoices in 11 languages can be created for your individual clients from all across the world. 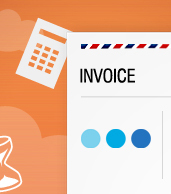 This will make your clients comfortable with meaningful and accurate invoices. Customized Invoice Template: To make sure your business identity is reflected and represented through the invoices received by your clients, professionally multiple designed templates have been provided. For those who are not that much technically sound to customize their template, for those Invoicera has come up with a Template Customization Service, with which you can get your invoice/estimate template customized by their experts as per your requirements. Magento Extension: With Invoicera’s magento extension, you can easily generate and send professional invoices to your customers with in real time as soon as they place an order on your store. Invoicera with Google Apps: If you are a user of Google apps, then using Invoicera will create many benefits here. The application can easily be accessed through Google apps with single sign in process and further utilizing Invoicera with single Google sub-domain. Invoice Scheduling: Scheduling of your invoice to be sent on specific date and time can be carved out. It would be sent automatically on the set date & time without any complexity. This will make your workload lighter. Referral Program: With Invoicera’s Referral Program, you can earn 40% recurring commission for life time by simply getting your friends or your business contacts to sign up for the Invoicera’s paid subscription. Thus, by doing deep invoicing review, I have found that overall Invoicera is a great package for all type of businesses that don’t require or need the complexness that full double-entry accounting system wants. The user interface is simply great and eye catching, it’s very easy and quick to learn and simple to use and with the new addition to its features, it has added more value to basic invoicing functionality. Invoicera with its multifunctional features will not only augment your invoicing process but also assist you to build a good relation with your customers. Do you use Invoicera? Share your experience below….